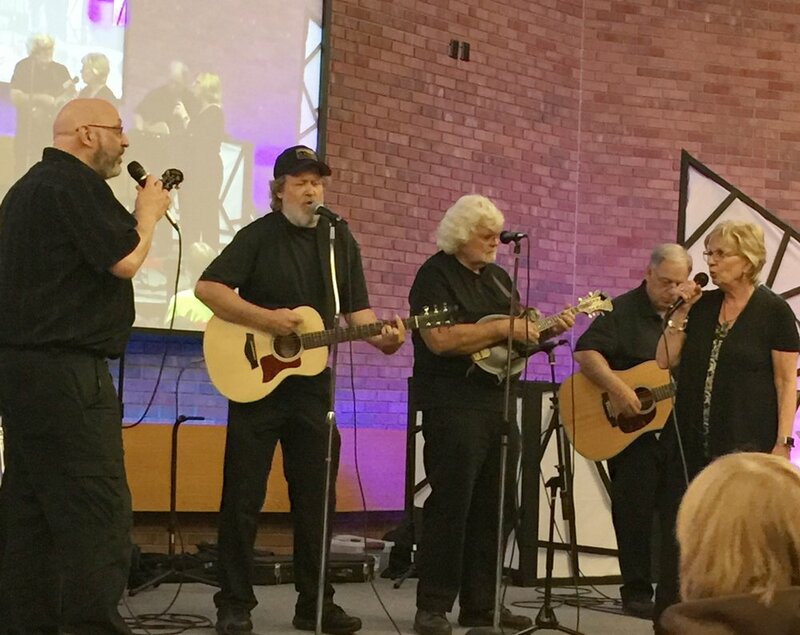 Gloryland Gospel Band delivers toe-tapping messages of hope, comfort, and celebration. Let us inspire you with familiar hymns and Gospel classics that will warm your heart and soothe your soul. Take a journey through our collection of Traditional and Old-Time Gospel, Country, and Rock 'n Roll music. Join us at an upcoming concert or musical event. Check out our calendar to see where we'll be next. Let us customize a program for your special event. We perform in a variety of indoor and outdoor spaces. Contact us to learn more.